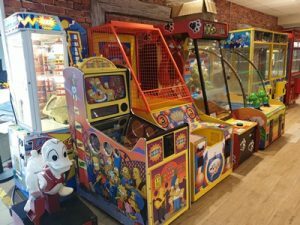 Fortnite may be the number one game for millennials proving viral on the internet, but the good old arcades were where the party was at for the baby boomers and are still proving popular today. 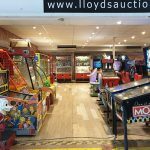 “The revival of pinball and arcade machines is very strong with people going berserk to get their hands on them, we’ve had almost everyone who walks in here wanting to play with the collection that we have on here on display which are up for auction this weekend.” said Mr. Lee Hames, Chief Operations Officer at Lloyds Auctions. 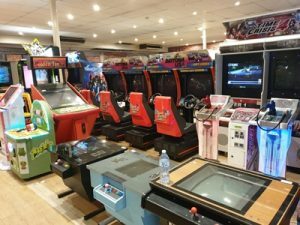 “Phones are ringing off the hook with the number of enquiries we’ve had on this auction which includes over 50 machines with many iconic games including Space Invaders, Baywatch Pinball, Pacman and my personal favourite Donkey Kong.” Mr Hames continued. “We are seeing more and more auctions consisting of vintage items in recent years with Australian classic cars, vintage bikes and memorabilia but more recently pinball & arcade machines. One of our strongest performing auction categories consists of items from the 1950’s to 1990’s including cars, memorabilia, comic books, fashion clothing and old electronics,” he continued. From this it seems as though society today is producing new and shiny things with people running a million miles an hour focusing on their day-to-day activities. People are breaking away from this digital-age movement and looking for experiences or rekindling old memories. In the past we have seen polaroid cameras, record players & vinyl, comic books & thrift store fashion trends all making a strong come-back. “These sales are achieving solid prices with many items becoming very rare and sought-after collectable items,” Mr. Hames continued. Vintage items will continue to be treasured as time goes on and as people continue to resist the digital age, we seem to be heading towards which means their value could continue to rise from the associated demand. “As we have seen with classic cars as one example, we have found many people buying cars because their father or grandfather had one or they remember going on holidays in the car, the car broke down while on a road trip. These memories create strong emotions with people wanting to relive or make new memories with their children in these cars,” said Mr. Hames. If you’re a collector, investor or gamer interested in reliving your childhood dream there are over 50 pinball & arcade machines are up for auction at Lloyds Auctions on Saturday November 24. Iconic games include Pinball, Space Invaders, Donkey Kong, Galaga, Pacman, Scrambler and many more.